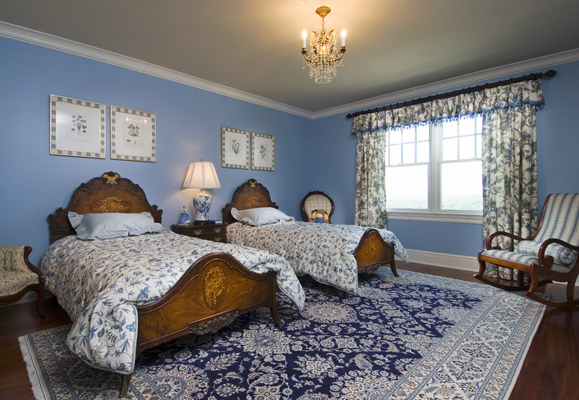 These two, magnificent antique beds found their perfect location on this fine, wool and silk Nain rug. 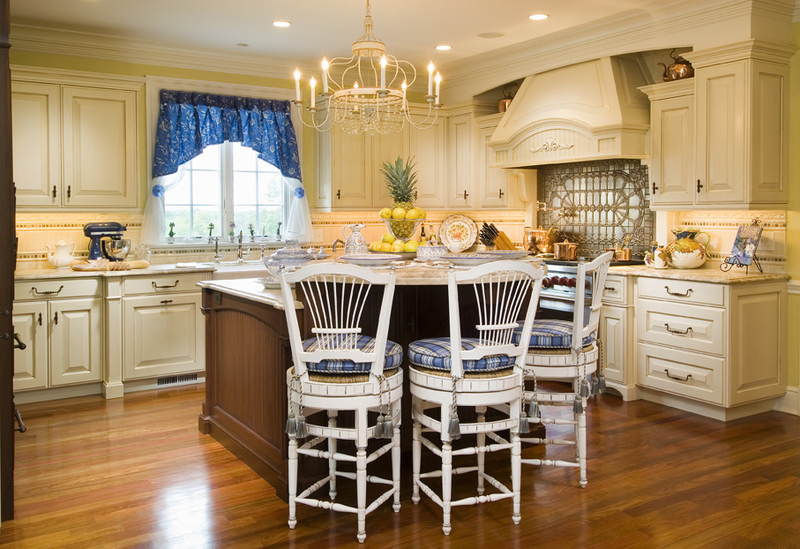 The many different shades of blue in this rug easily pick up the many blue and white elements throughout the room. The Bessa blue, floral prints from Trowbridge Gallery, the stationery panels in a large, floral print from Brunschwig & Fils and the custom-made bedding all complement the exceptional, antique furnishings throughout the room.